The Yamaha four-strokes boast muscular performance despite being light in weight for their classes. Whether fishing a favourite point or taking a leisurely weekend cruise, these engines are a delight to use. They feature greater flexibility and durability. 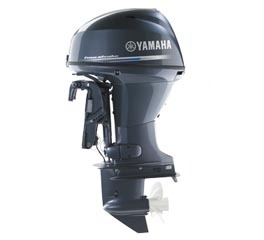 What sets our four-strokes apart from the competition is not just their light weight and compactness but the fact that they have the same renowned Yamaha quality, technology and reliability as our large displacement outboards.